Our legal team knows that auto accidents can be tragic, life-changing events. Even non-fatal car accidents can cause major life changes that affect mobility, earning potential, and overall quality of life. It's for that reason that those who have been affected by an auto accident need to reach out to a personal injury attorney. By getting legal assistance as soon as possible, a lawyer can help you receive compensation for injuries and damage to property. Our legal team would like to take a few moments right now to look at the basics of motor vehicle accident cases. This should help you understand their causes and how serious they should be taken. Single-vehicle auto accidents are accidents that involve just a single vehicle. While it would seem that these kinds of auto accidents are caused by driver error alone, in fact, there are many other causes of single-vehicle accidents that may not be the fault of the motorist. It's important to speak with an auto accident attorney about your vehicle accident in cases in which the motor vehicle collision was caused by the negligence of another party. Multi-vehicle auto accidents are collisions that involve more than one vehicle. While these kinds of accidents are not automatically deadlier or more serious than single-vehicle auto accidents, the chance of catastrophic injury and death does often increase when more vehicles are involved. 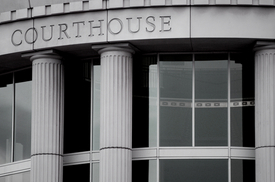 Our team will assist in the filing of a wrongful death lawsuit in the case of fatal collision. During the investigation phase of your accident, we will determine who was at fault and negligent, which will assess responsibility for the accident. Our goal for every client is to make sure that their legal interests are well represented. We fight diligently for our clients in order to obtain both compensatory damages and punitive damages that will help ease the nature of their pain and loss. Since it is difficult to go it alone in the legal system, our attorneys offer peace of mind more than anything else, which gives clients and their families the ability to heal and to grieve. This should not be taken lightly or for granted. For more information about your legal rights and what our legal team can do for you in a court of law, be sure to contact our Northern California personal injury lawyers today. With offices in Sacramento, Chico, Roseville, and Redding, we are able to meet the needs of clients throughout the region. We are here for you.